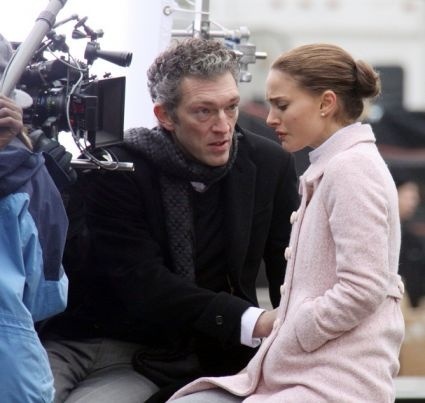 Vincent Cassel (French pronunciation: [vɛ̃sɑ̃ kasɛl]; born Vincent Crochon, 23 November 1966) is a French actor. He first achieved recognition for his performance as a troubled French Jewish youth, in Matthieu Kassovitz's 1995 film La Haine (Hate), for which he received two César Award nominations. He garnered wide recognition with English-speaking audiences for his performances in Ocean's Twelve (2004) and Ocean's Thirteen (2007), as well as Eastern Promises (2007), Black Swan (2010), and Jason Bourne (2016). Cassel is also renowned for playing the infamous French bank-robber Jacques Mesrine in Mesrine: Killer Instinct and Mesrine: Public Enemy Number One (both in 2008).